Deciding on a desktop computer for your home can be stressful. Howardstore.com has a variety of stock and customizable desktop computers for you to choose from. Our great deals on desktops are some of the best you will find online, and they always come with free shipping. A traditional desktop computer is the most common type of PC found in homes today. 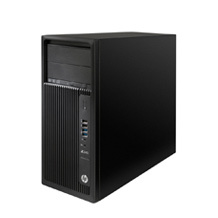 It is larger than compact desktops but smaller than a typical gaming PC. These desktops are usually very powerful and come with a variety of stock and customizable options to fit any need you may have. Howard Computers are an excellent choice when looking at this type of computer. Please browse our large selection of Howard Computers and other name brand desktop computers as you shop today. The gaming PC market is expanding rapidly each year. This is also true of the demands that modern gaming has on PC capabilities and specs. For this reason, gaming PCs are among the most capable computers in terms of image rendering and processing speed available today. A typical gaming PC is larger than a standard desktop computer and is capable of being extensively modified with little effort. At Howard Store, we can build custom gaming PCs to the specs you desire and have them sent directly to your home with free shipping. We also offer a large variety of other top of the line gaming PCs for your choosing. 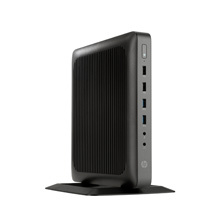 Compact desktop computers are small desktops that typically have the same capabilities as their larger desktop computer counterparts listed above. Their draw back comes from their inability to be easily modified or upgraded. This, however, is remedied by their extremely small size. These small desktops are semi-portable and are often best used with wireless peripherals such as keyboards and mice. All-in-one computers are tremendous space savers, even more so than compact desktop computers. This type of desktop computer is a single screen with a back panel that houses all of the PC hardware in the device. Many all-in-one PCs have touchscreen capability. This makes them extremely useful for presentations and areas where floor and desk space is limited. Howard all-in-one computers are some of the best online. Each of our computers can be customized to fit your needs. 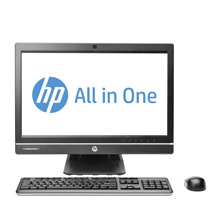 We also carry a large number of other name brand all-in-one computers that are more than capable of meeting the task at hand. There are a large number of desktop computers available on howardstore.com. Please shop our selection of compact desktops, all-in-one computers, gaming PCs, and traditional desktops. We are certain you will find the computer you are looking for. If not, please call us and we will build you a desktop designed to fit your needs. Howard Store customer service representatives are always standing by to assist you. You can reach them at (888) 912-3151.